U.S. Buildings offers fully customizable steel building kits that can be insulated to keep your livestock warm, healthy and protected throughout all of the seasons. All of our buildings are backed by a 35 year limited warranty, are simple and easy to self-construct and come at a competitive and affordable price. 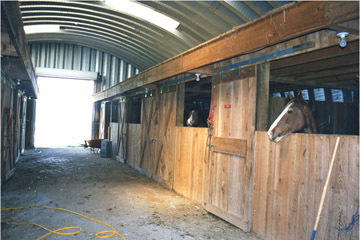 Whether you want to shelter your livestock and animals or store commodities and farm equipment, our steel building products are the perfect choice. With solid steel construction from U.S. Buildings, you won’t have to constantly worry about maintenance of rotting wood. With unmatched quality at a competitive and affordable price, we know you’ll be fully satisfied with your U.S. Buildings’ steel building.